Keppel was a British Naval officer during the Seven Years War and the War of American Independence. 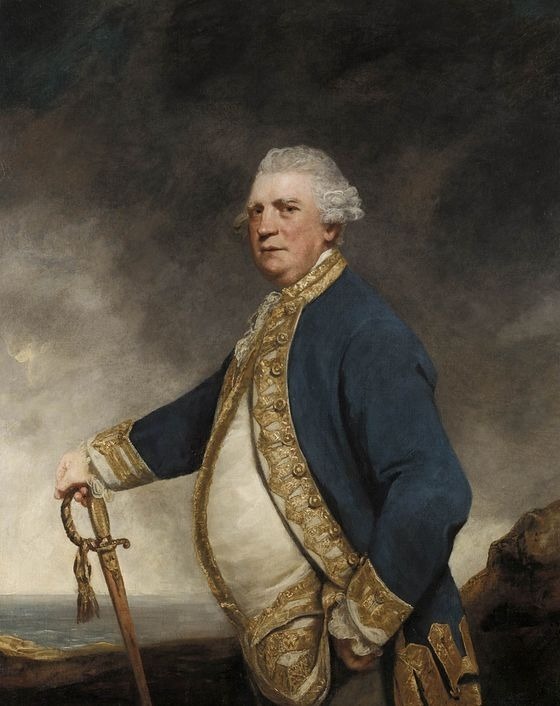 He was also the friend of Joshua Reynolds who sailed with him to Minorca on his naval vessel in 1749, along with the captain's crew as Joshua was on his way to Italy to further his studies. Keppel was from a wealthy aristocratic family who had lineage from the Prince of Orange of the Netherlands. His family had come to England in the 1600s to speak to King Charles I and Keppel later served in parliament upon his retirement from the naval force. During his time in the navy he contracted scurvy and lost many of his teeth. Keppel never married and died in 1786. That same year Sir Joshua Reynolds was undertaking numerous commissions and had moved to his much larger estate in Leicester Fields to gain more space and take on more students. What began as a simple commission became a groundbreaking study in both landscape and portraiture. Keppel is depicted amidst a stormy seascape and he strides away from the strong winds of the sea which came to symbolize his feats against the tumultuous waters, and his victory of the numerous wars he fought in. Reynolds gives Keppel a sense of control over the turbulent seascape and winds; he looks as if he has just escaped a shipwreck of some sort and is simply striding on in all his glory. Reynolds bestows complete command and authority to Keppel in this painting. 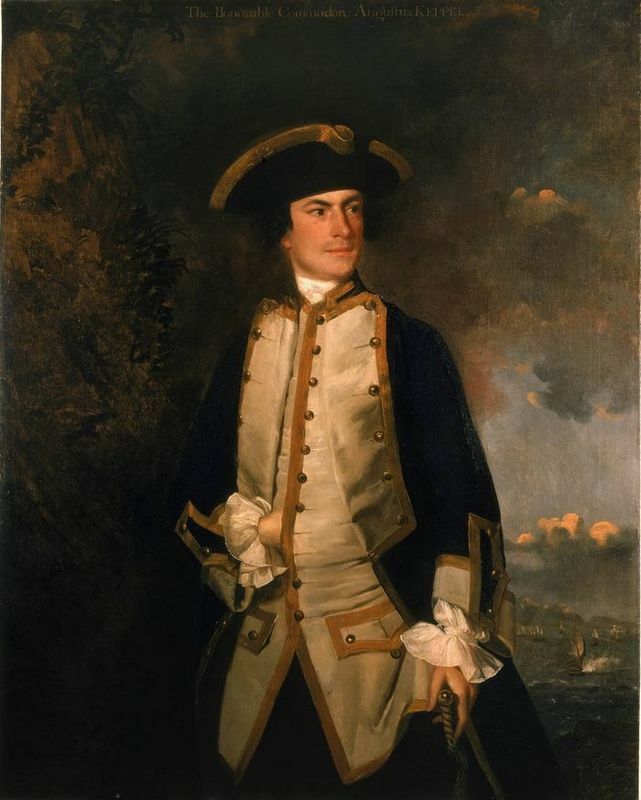 Captain The Honourable Augustus Keppel is unique for the time period in its combination of tumultuous landscape with classical portraiture. The ground upon which the captain stands is on a higher plane than the shore. This is reaffirmed by the large rock formation lying nearer to the viewer on the left side, and the fact that the rock on the sea is farther away. Reynolds has used an array of muted and dark browns, greens, ultramarine, purple, oranges and yellows in his work. He has made blue the central, primary color and thus the sitter is very much the main focus. The use of blue in the clothing and the stormy seas helps create a harmony to reaffirm the sitters' presence. The sky is painted with red hues which Reynold's mixed with bright oranges to create a dramatic and striking effect. The pure white used in Keppel's stockings is repeated in dashing strokes for the crashing waves to the background. The artist uses the white at the point where he most wanted the eye to focus and this is Keppel's head and arms. This helps accentuate the defining aspects of his pose and, more importantly, his face. The sea takes on a range of rich greens and dark ultramarine as it is juxtaposed by the reddened sky above it. These color contrasts help emphasize the subject even more, as he is swathed in full light amidst the dark background. Light streams in from the top right hand corner as the captain walks towards it. His left side is swathed in shadow and his extended hand catches the falling light again. The detail on the clothing is executed in fine, long, smooth strokes. The clashing waves are painted using a fine paint brush but briskly applied to convey the tumult. 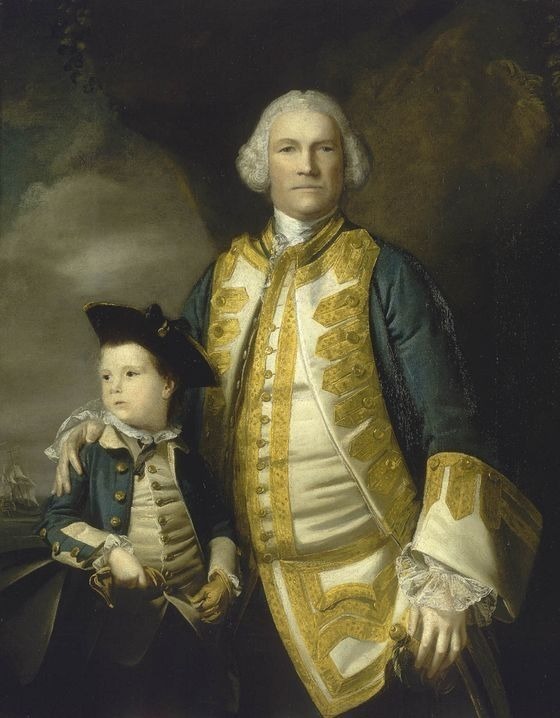 As the Admiral Augustus Keppel was a much respected and important man during Reynold's lifetime, with a history of sound military triumphs, his portrait was completed time and time again. 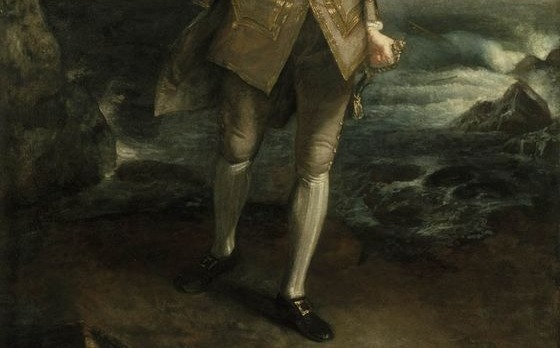 Sir Joshua Reynolds painted him various times. The pose that Keppel adopts is referred to as the Apollo Belvedere. Many Classical artists and sculptors had used it in their works and it was dervied from the God Apollo who had overtaken the monster serpent Python. For painters this pose was used for portraits to represent the sitter's victories or greatness and sense of total command over a tumultuous defeat. Reynolds is seen as a forerunner in this work as he includes an active narrative in the stormy background as the sitter is taking part in an action with a facial expression accompanying the scene. A man of great consequence and influence during his own time, the work of Sir Joshua Reynolds has been hotly debated by subsequent artists who wished for a less formulaic and more spirited type of art. What is undeniable is that his legacy continues to this day, though criticized to varying degrees throughout history. Reynolds went on to found The Royal Academy of Arts and gave a series of successful lectures that were taken as quite perceptive for their time. 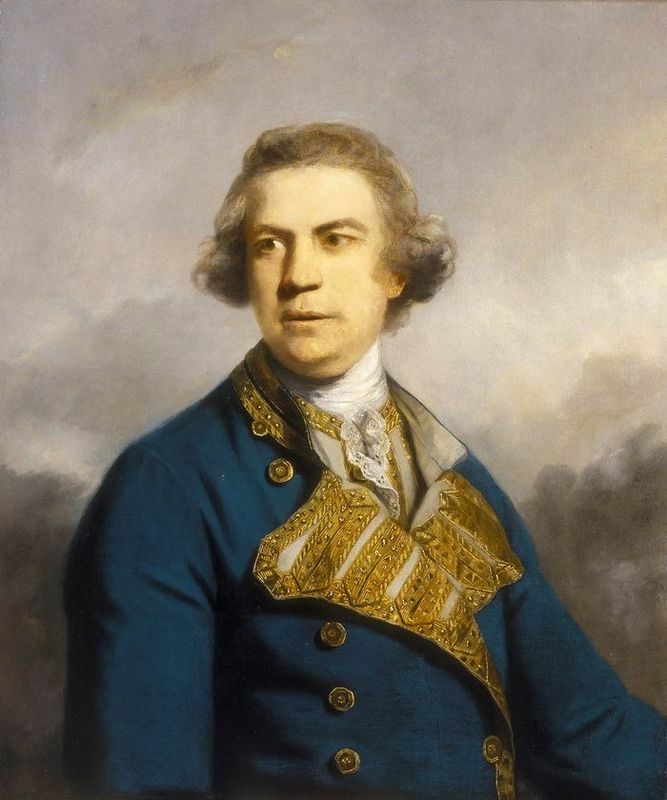 Works such as Captain The Honourable Augustus Keppel have cemented his place in history amongst the critics of his own time, up to the modern day. 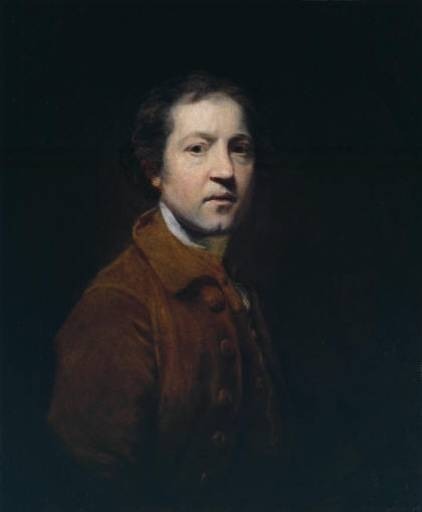 Sir Joshua Reynolds is considered the father of British painting due to his various contributions to the English art world in relation to the Classical origins of painting and art that had stemmed from Roman/Grecian culture. Through his elaborate portraits Reynolds created a new demand in painting that was free from any social or religious ties, and people started accepting a portrait for its aesthetic qualities along with its ability to capture the sitter in a moment that could best accentuate their person rather than just the social duty and role. 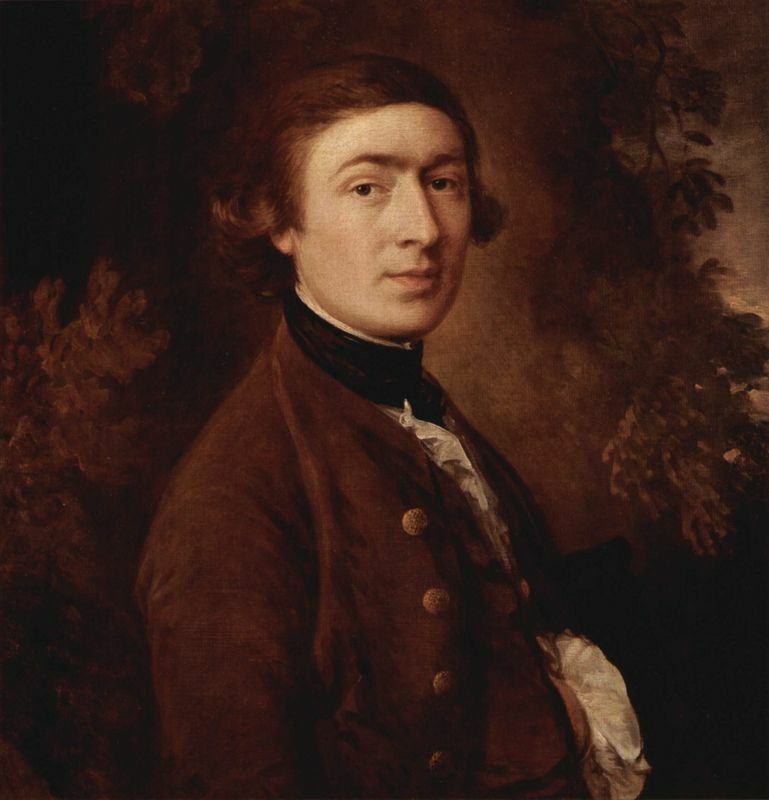 Reynolds conducted his successful career during the height of the English Rococo. The Rococo era originated from the French decorative style Racaille meaning 'decorative shell and rock work'. It primarily stemmed from the architecture and furniture style that was popular amongst the bourgeois and new rising wealthy class in France who wanted works that reinforced their wealth and pleasure in all their beauty and splendor. The Rococo style soon caught on in England as the country had a huge rise in middle class and wealthy merchant businessmen due to its advances and control over new colonies in the West, South and East. Reynolds was able to serve the needs of this growing middle class with his flattering and elegant portraiture style. The Rococo era was characterized by hedonistic freedom and a pursuit of all things aesthetically pleasurable. The Palace of Versailles was the ideal in decadent Rococo art and architecture with its ornate decoration and grandeur. 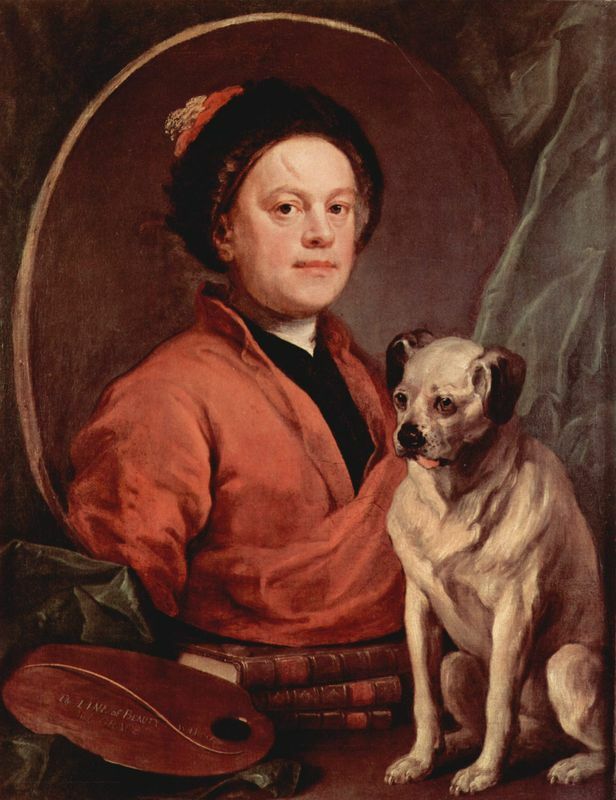 During the Rococo era portraiture was extremely across the world but particularly in Great Britain where pioneers of this style also include William Hogarth and Thomas Gainsborough. Reynolds helped to define different concepts, not only in British painting, but across the Western world. He was a renowned intellectual who socialized in the elite social circles of London and received most recognition for his portraits, particularly of the London elite. His popularity was due to his ability to raise the figureheads of the day to a mythological level, which flattered the subject. For further information about Reynolds and his works please refer to the following list of recommended books.